Never miss a follow up again! Set deadlines and add comments for full team collaboration on every task created for you or by you. 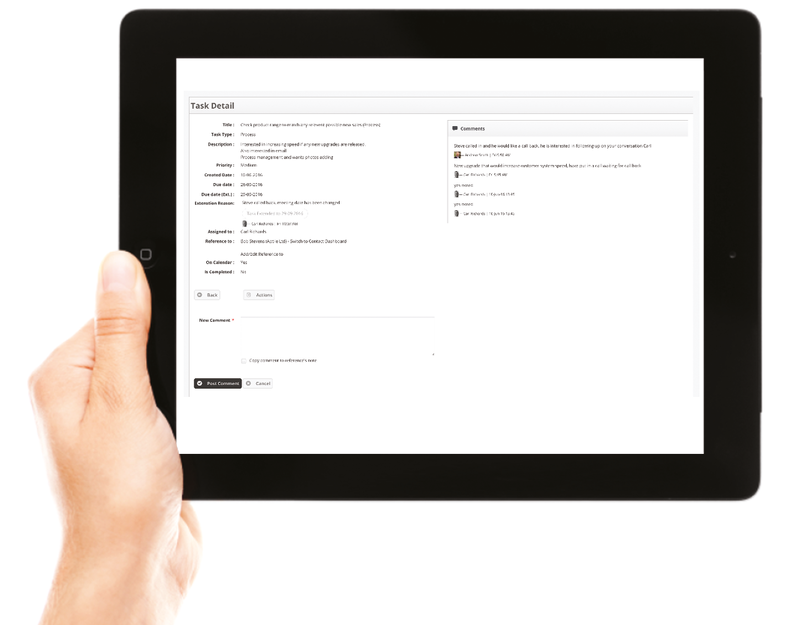 Log tasks in your calendar, notify users of pending tasks by email. You can even use tasks to set your annual goals so you receive reminders to check in on how you are doing. 4CRM enables you to get fully organised and stay on top of all the tasks you or your team need to do. This simple but effective tool means you never have to miss a follow-up or deadline again. With the whole team on board and fully briefed on what needs to be done and by when, confusion will be avoided, it’s great for team collaboration. 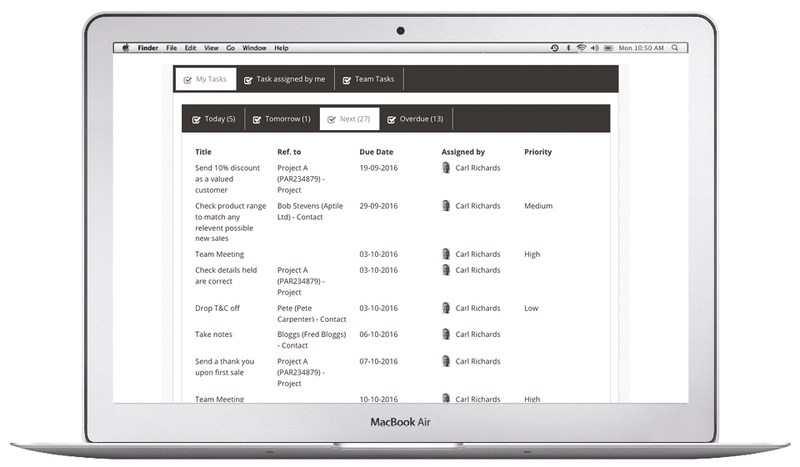 With 4CRM you can easily see which team members have overdue tasks – a possible indication that something is wrong. Could it be that staff training is required, more staff are needed or the team, or at least one member, isn’t as motivated or organized as they should be? Teams work more effectively when they work together. Recognising and dealing with issues quickly, keeps both your team and customers happy. Simply set a task as illustrated below. Include a completion deadline and if relevant, reference the contact the task is associated to. You can set a task for another member(s) of your team. You can view any notes, or if one of your team has requested a deadline extension and why. 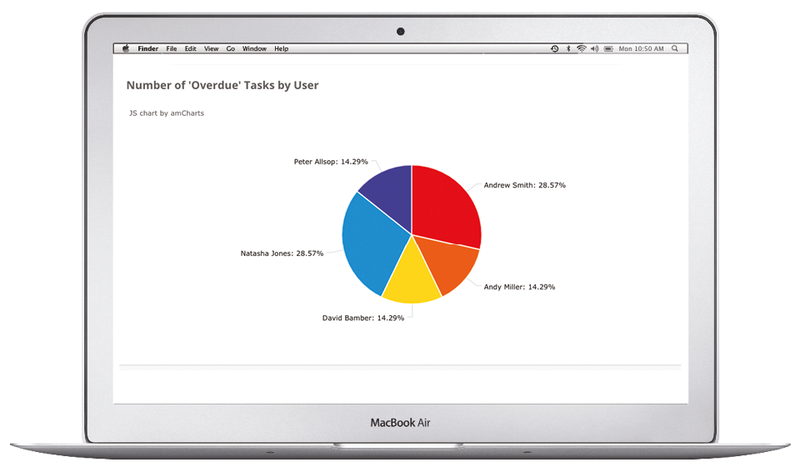 You can see all of your tasks at a glance on your own dashboard. These are clearly segmented into ‘Tasks for Today’, ‘Next Tasks’ and ‘Overdue Tasks’, which are highlighted in red. Every task created that has been referenced to a contact is displayed within that contacts profile dashboard. This provides you and your team with a useful history log. It also ensures your team is well informed about everything that has been done for a particular customer, so they can liaise confidently with the customer at any time. You can set email notifications to remind you of upcoming tasks. You can decide the frequency of the reminder, for example, you can receive one email reminder the day before and one on the day of the event/task. See at a glance which team members have overdue tasks.